Nintendo has been mum, more or less, as to the exact power and capabilities of their next console, Wii; however, slowly but surely, little hints are starting to drop in. The latest comes from Gamasutra, who report that electronics firm MoSys "will be using the company's patented 1T-SRAM technology to implement the high performance memory within the Wii's graphics system." Worth noting: "The newest 1T-SRAM implementations embedded within the Wii console are fabricated using NEC Electronics' advanced 90nm CMOS-compatible embedded DRAM process technology. These high speed and ultra low latency memories are used as the main embedded memory on the graphics chip and in an additional external memory chip." 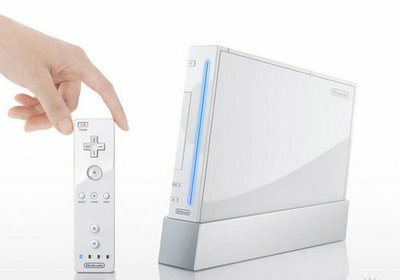 An official from MoSys goes on to say: "Designing the Wii console required an incredible list of breakthroughs in technology and innovation. ... The graphic performance of Wii benefits from MoSys' ability to develop highly innovative and dependable embedded memory products." Self promotion aside, it appears that Nintendo just may have a final ace up their sleeve as we come closer to seeing the final version of Wii. This is more confirmation that Nintendo knows how to make a powerful yet affordable console. As powerful as the other guys? No, but Nintendo looked for a way to get past the high specs while still being able to make great graphics that are comparable to the high end machines. Smart compact console design. Im all for it with the graphics, but its not the only thing im looking for in the wii. But thats a check im not worry about. It's about the fun factor in it all, its video games made to be fun in anyway.Never ontill now that video games has a age group, before it was all about fun,puzzles,getting to the next level or watching other play while you wait for your turn to be the hero in the group to go on to the next level. My good friend and I spent a couple hours last night just playing the mini-games in New Super Mario Bros. They are so fun and you never stop to think just how simple the graphics are. This is how the Wii will be too, but only Nintendo didn't forget the graphics part either with it. It will be great to finally be able to play it. Thats what im talking about metaldave. or whatever, kid or adult its about having fun. Yes, for the most part it is about the fun factor of the games. Nintendo has said that graphics are important and for this gen of games it doesn't look like that trend is going to end. The Wii will look "good enough" for just about everyone. "The day will come when the king will return again". And all hell will be loose for the fort. What you say does make sense even with your extremely bad spelling. 2.5 times the power of Gamecube is what I expect anyway. Yeah. I can't understand that someone that spells that bad even can get a job. the guy types an essay about the wii hardware and you're gonna talk about a couple of misspelled words. sheesh.